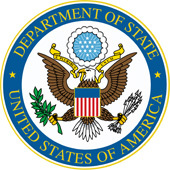 The US Department of State has issued its report on terrorism of 2014 , which reads that there are still concerns about Georgia as a transit country for international terrorism. The reports highlight that in 2014, Georgia continued its robust engagement with the United States across a range of counterterrorism-related issues and remained a strong U.S. counterterrorism partner. “However, there are continuing concerns about Georgia as a transit and source country for international terrorism. The media reported that, as of December, between 50 and 100 Georgian nationals from the Muslim-majority regions of Adjara and the Pankisi Gorge were fighting in Syria and Iraq for either al-Qa’ida affiliates or the Islamic State in Iraq and the Levant (ISIL), including senior ISIL commander Tarkhan Batirashvili (aka Omar al-Shishani). “Given Georgia’s geographic location, violent Islamist extremists continued to transit through the country between the Russian Federation’s North Caucasus and Syria and Iraq,” the report reads. The Department of State underlines that following the passage of UN Security Council Resolution 2178, the Georgian government initiated changes to its criminal code related to foreign terrorist fighters and modified regulations to strengthen document security along the border with Turkey. The reports stresses that Georgia continued to enhance its counterterrorism legislation in 2014-2015 and criminalized participation and support of terrorist activities. “Overall, the Georgian government is largely capable of detecting, deterring, and responding to terrorism incidents. However, several ministries and offices share counterterrorism responsibilities, creating challenges to cooperation and information sharing. “Nonetheless, the Georgian government took steps toward improving interagency coordination. The government set up a counterterrorism working group within the country’s State Security and Crisis Management Council to promote regular communication among relevant agencies and a crisis management unit within the same Council that would coordinate the government’s response in the event of a major terrorist incident,” the report reads.